LONDON (Reuters) - London will be central to global financial markets whatever shape Britain's exit deal from the European Union (EU) takes, senior players in British banking said on Thursday. Barclays chairman John McFarlane said he was confident that London would remain a global financial centre able to secure access to Europe after Brexit. "In the event of a no deal situation, this would hurt the EU very significantly if that was the case, and that would quickly resolve into some form of arrangement," McFarlane said. EU leaders will on Thursday tell British Prime Minister Theresa May during a meeting in Brussels that she can have two months to organise an orderly Brexit. But Britain could still face a hugely disruptive ejection from the bloc on March 29, the legal date set for Britain to leave the EU, if May fails to win parliamentary backing for the deal she has struck with her soon-to-be former partners. Parliament has twice rejected the divorce settlement negotiated by May, but she could push for a third vote. 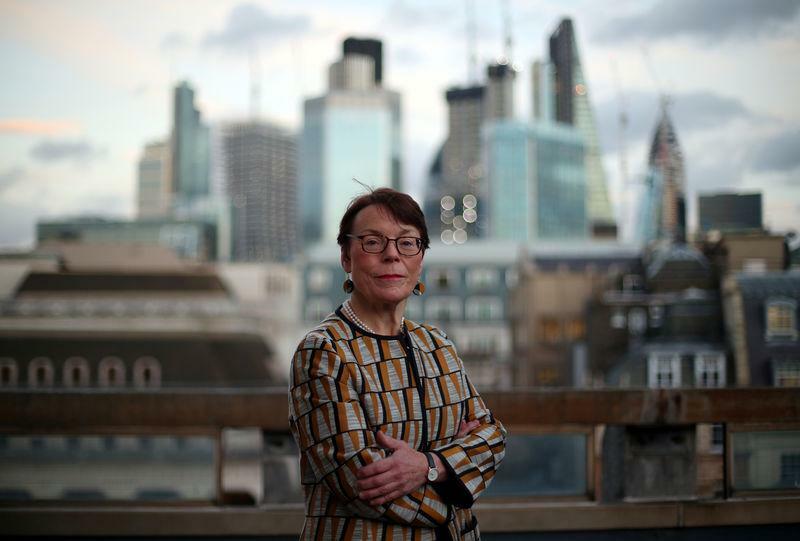 "It's imperative we avoid a no-deal Brexit," City of London financial district chief Catherine McGuinness said in a speech underscoring the loss of patience in Britain's biggest tax raising sector with politicians. "An extension would be welcome and let's hope our EU partners agree to that. But it would only be a sticking plaster unless the deep underlying issues are resolved and we actually make progress," McGuinness said. She expects London's strengths as a global financial centre to remain, but it also appeared that financial services had been "thrown under a bus" in Britain's efforts to secure a deal. Britain's financial services minister John Glen said bankers had every right to feel frustrated with the failure to secure a divorce with just a week to go before Brexit Day, but added it was important to recognise "how unlikely" a no-deal Brexit was. This optimism was echoed by the Barclays chairman. "In the end, there is going to be a deal, however it transpires," McFarlane told the conference, adding that London had "evolved" as a global financial centre by being open, but the EU appeared to think of itself as a "closed system". European Commission officials reject this and the EU wants to bolster its own capital market without Britain, which will only get access if it sticks with rules that are "equivalent" or aligned with those in the bloc, meaning London's room for rowing back on rules could be limited. However, Norman Blackwell, chairman of Lloyds Banking Group, said Brexit was an opportunity for "regulatory stability" and less burdensome capital and reporting rules for domestically focused financial firms. Blackwell said equivalence worked both ways and Britain should not blindly follow EU rules after Brexit. Many banks, including Barclays, insurers and asset managers have shifted more than 1 trillion pounds ($1.31 trillion) in assets to new hubs in the EU to avoid any Brexit disruption. "On 30th of March, whatever happens, the European capital market will be in London," McFarlane said.